Click on aquasuperstore.com to find 30 - 70% savings on end of season sale items. Click link for selection. Clink link for savings up to 50% on top supplies for your pool. 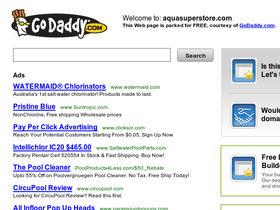 Take advantage of a 110% low price guarantee on every product in aquasuperstore.com catalog.